ATLANTA -- A group of masked robbers stole $60,000 worth of equipment from a private Atlanta school, despite on-site security overnight Wednesday and Thursday. The six men returned twice through the night and spent several hours disconnecting and stealing almost every computer at Pace Academy before the theft was discovered. According to a police report obtained by 11Alive, Director of Facilities David Fortier called police when he saw the back door to the school had been forced open. Fortier told police it happened sometime between 7 p.m. Wednesday and 4 a.m. Thursday. Responding police officers said the back door was the clear point of entry. Computer parts and headphones were scattered through the entrance into the stairwell. 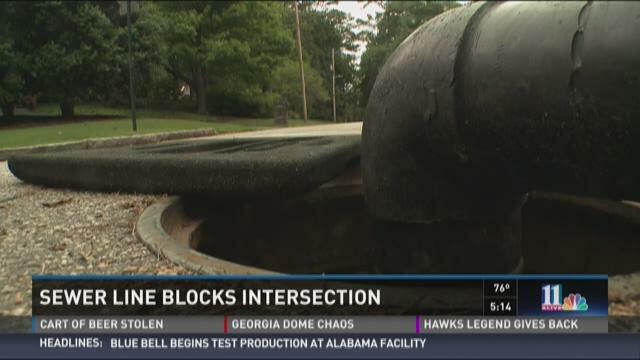 ATLANTA (WXIA) -- After waiting nearly four months to get an above-ground temporary sewer line removed and a hazardous intersection repaired, residents near Nancy Creek and Ridgewood Road in Buckhead have learned that work is finally about to begin. The above-ground line runs more than a quarter-mile along Nancy Creek, and ending in an open manhole in the middle of Ridgewood Road. which results in an obstacle course for drivers to get past each day. "You creep up here and you think people are going to stop but you can't see. It's very dangerous," said area resident Jennifer Black. ATLANTA-- Two Memphis men have been indicted in connection with a string of violent home invasions in Buckhead. Leon Scott, 25, and Mario Deandre Jackson, 28, face robbery, kidnapping and firearms charges. They're accused of breaking into a home on Paces Ridge in Buckhead May 25 and terrorizing a family. According to the US Attorney John Horn, Jackson was arrested July 9 when Georgia State Patrol officers pulled over the car in which he was a passenger. Two guns reported stolen during other robberies were found in the vehicle. "[Jackson and Scott] allegedly traveled to Georgia from outside the state for the purpose of robbing the family, and forcing them at gunpoint to remove money from an ATM and to turn over other valuables, including a wedding band," Horn said in a written statement. 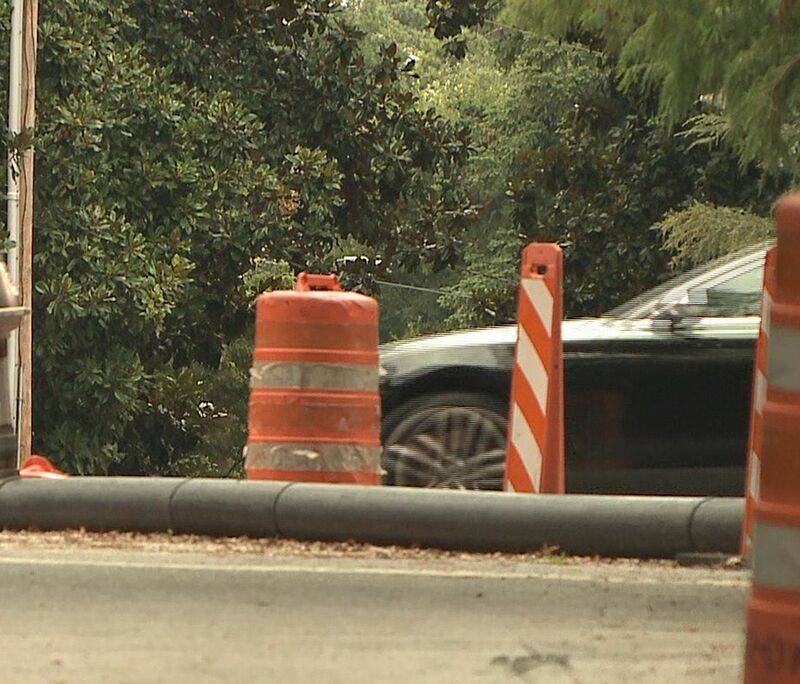 ATLANTA -- A temporary above ground sewer line extending along Nancy Creek Road and ending up in the middle of the Ridgewood Road intersection has neighbors fuming. They said that no matter what they do, nothing has been done to fix leaky pipes, clear out the intersection or remove the above ground temporary line. What neighbors now face is an obstacle course in the middle of a busy intersection and there's nothing being done to get rid of it. The temporary sewer line extends about a quarter mile ending at an open manhole right in the middle of the Ridgewood Road intersection. ATLANTA -- State and county health officials continue to investigate an illness that may have sickened more than 100 people. The Fulton County Department of Health and Wellness and the Georgia Department of Public Health are continuing to gather information on the abdominal illness. Last week, doctors in Buckhead said they had treated dozens of patients who may have been stricken with a parasite called cystoisosporiasis. As of Tuesday, 100 people had responded to the health department's request to complete a survey, according to Fulton County health officials. ATLANTA -- It's a story that continues to be a mystery and appears growing in its reach. 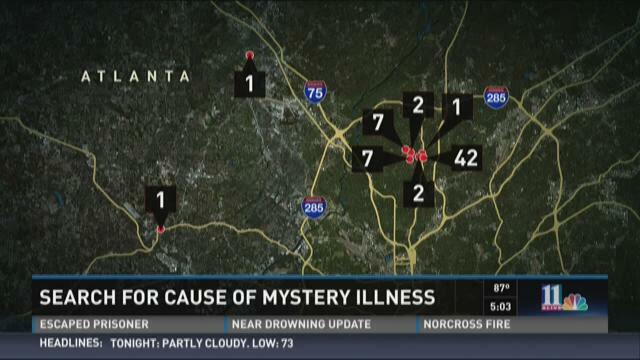 There are now dozens of Fulton County residents who have reported being sickened with a mysterious illness. Doctors in Buckhead said they've had an influx of patients with a parasite called cystoisosporiasis. But the big problem is that no one knows exactly how they got it.